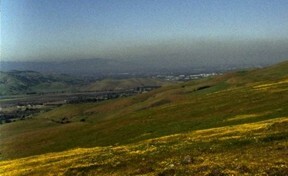 Smog in Silicon Valley contains nitrogen compounds that act as slow release fertilizers. 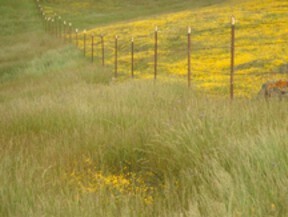 alters ecosystems and threatens native biodiversity by nitrogen overdose. The Conservation Success Story: The Creekside Center for Earth Observation is an innovative leader in addressing N deposition impacts on important conservation areas. promises to deliver permanent protection and management of virtually the entire remaining ecosystem. The mitigation involves land purchases and easements, management endowments, ecological restoration, and habitat conservation planning. 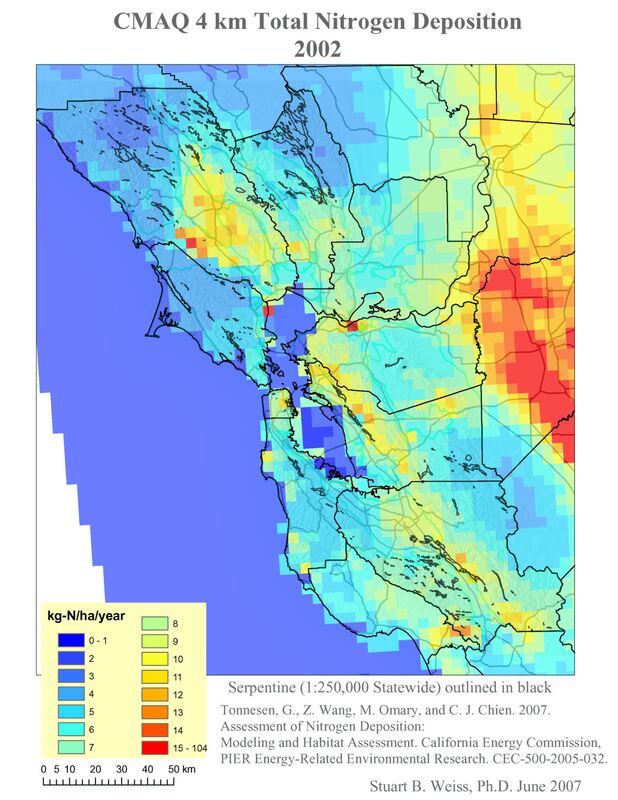 Community Multiscale Air Quality Model (CMAQ) showing levels of nitrogen deposition in the Bay Area, CA. Vehicles, industry, and agriculture increase N deposition.